Most of Don Chutter’s 30 years of Canadian Construction Association (CCA) service was as its general manager (this position is now called president). Don was the first in Ottawa to receive the Certified Association Executive (CAE) designation. Volunteer positions included presidency of the Ottawa chapters of the Canadian Society of Association Executives, the Project Management Institute and the Ottawa Rotary Club. Don was a long-time member of the National Building Code Committee and the Unemployment Insurance Advisory Committee and was co-chair of the Metric Commission’s Construction Sector Committee. He was a Canadian employer delegate to several general sessions of the International Labour Organization (ILO) in Geneva and was employer chairman of a 29-nation ILO Construction Committee Conference there. 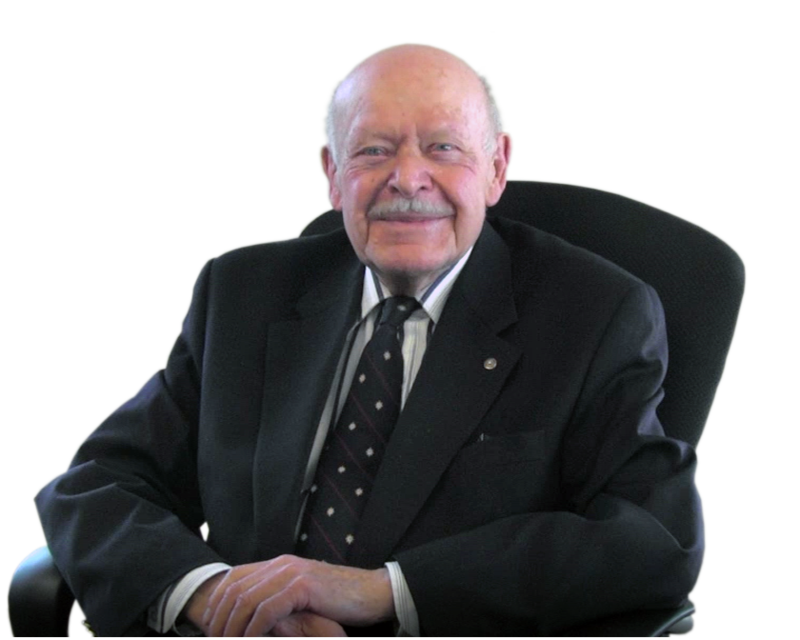 Don established the Ottawa office of Revay and Associates Limited in 1977 and retired in 1998. He was a director of the Ottawa Construction Association (1984 – 1990) and executive director of the General Contractors Association of Ottawa (1999 – 2012). How did the Canadian Construction Association get started? Learn about CCA’s predecessors and some of the early leaders who provided a firm foundation for CCA’s growth and development. Did you know that Prime Minister Lester Pearson spoke at CCA’s first convention? What were some of Canadian Construction Association’s early wins? Learn about why CCA spent a lot of time urging provincial governments urging to accept federal funding for highways. Transparency has become a watchword. Learn about the widespread impact of CCA’s leadership in advocating for public tender openings. Why was CCA concerned about bed peddling and piddling? Learn about the development that led to creating the CCA Code of Good Practice. While CCA now leases offices on the 19th floor of a building on Slater Street, did you know that it once owned its own building on O’Connor Street? In 1955, the Construction House was the very first “modern” structure in downtown Ottawa. Why were rose boutonnières in fashion in the late 60’s? Read about CCA’s cabinet interviews with the federal and provincial governments. What was different about Premier Smallwood’s cabinet interviews in Newfoundland? How did National Defence end up in the building planned for Transport Canada? Read about CCA’s involvement. Why were the locations of Don Chutter’s first and last CCA conventions “unconventional”? Read about how the CCA conference came to be and what were the annual summer meetings. Did you know that January 1 marked the 40th anniversary of M-Day, the date after which all construction measurements were to be in metric? Why does Canada still operate under a dual system of measurements? Black Tie or White Tie? Why did the arrival of Maurice Duplessis cause a mad scramble at the 1955 convention? Read about how the business customs and conferences have changed since the 60s. What problem did CCA’s centennial project address? Read about how this project came about and why it was quite an accomplishment for CCA. How has CCA’s membership evolved and what roles do the local and provincial construction associations play? Learn how CCA accomplished its founding fathers’ vision of all builders’ exchanges becoming members of the national body.